Enjoy the latest set of graduation 2018 photos courtesy of GradImages by visiting this Facebook Album. We encourage you to tag, download and share. Use #RioGrad and #Classof2018 to share your grad memories. 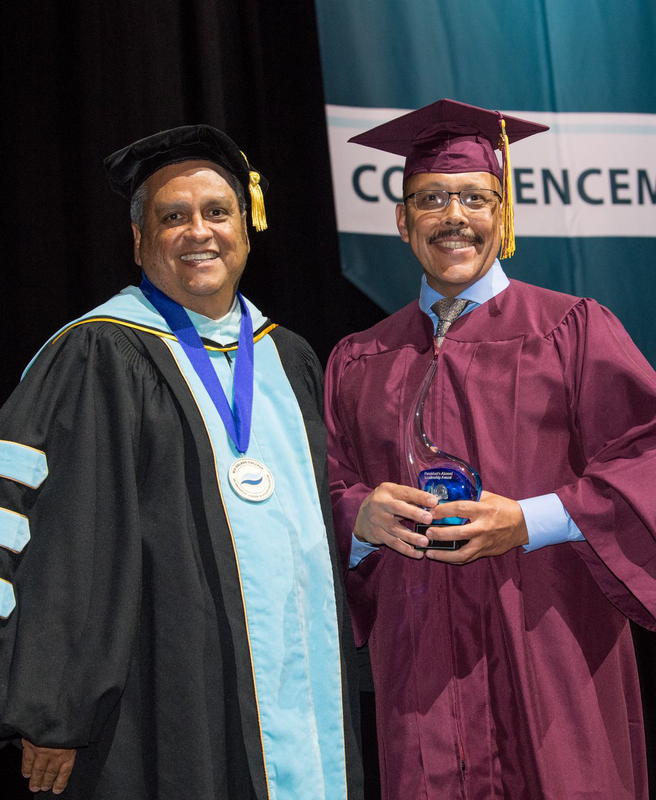 A large population of non-traditional students served by Rio Salado College are employees taking advantage of workforce training programs, including many law enforcement professionals like City of Tempe Assistant Chief of Police Angel Carbajal. President Bustamante recognized Carbajal during the May 9, 2018 commencement ceremony, as part of the official launch of the college’s 40th anniversary alumni association, by honoring him with the first President's Alumni Leadership Award for his dedicated community service and career in law enforcement, which has spanned 27 years. 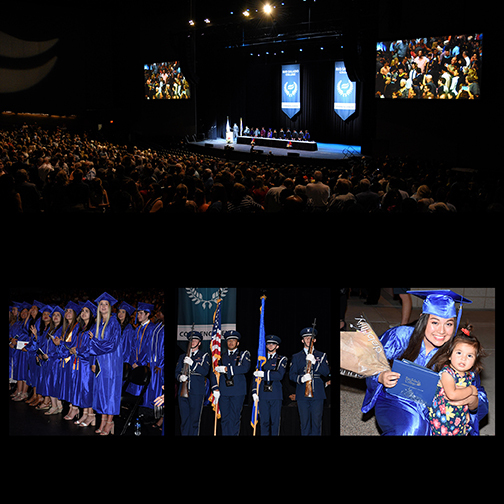 Carbajal was among the first students to complete a police academy training program launched in 1990 by the City of Phoenix Police Department in partnership with Rio Salado’s Educational Service Partnership team, which helped in the academic development of that training. Many of the recruits who complete this training today with select academies in Maricopa County and several states across the country, earn 39 credits toward a Certificate of Completion in Law Enforcement Technology from Rio Salado College. Like thousands of police academy graduates who have completed the program since the 90s, Carbajal would use those college credits toward completing a Bachelor's degree in Business Administration.